Suzanne Vega is finishing her anniversary tour on the 2nd October at Oxford New Theatre! 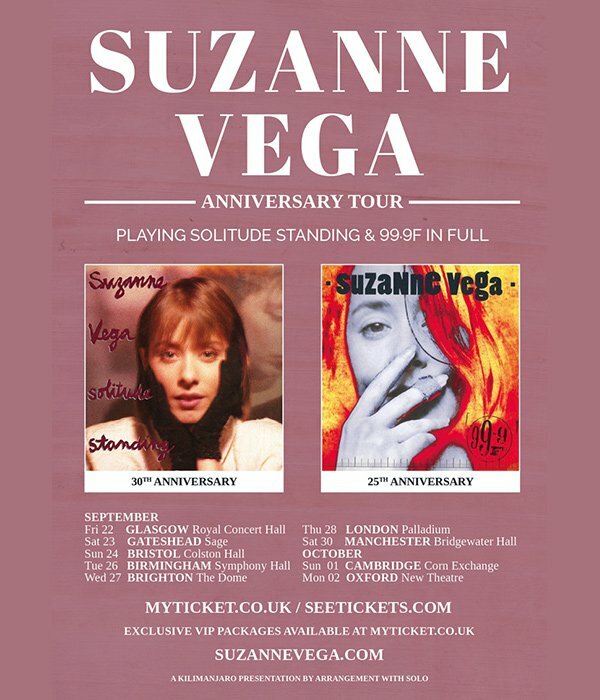 The legendary New York singer-songwriter Suzanne Vega has announced a 12-date UK tour later this year, celebrating the 30th and 25th anniversaries respectively of her albums ‘Solitude Standing’ and ’99.9F’ by performing both in full, as well as more tracks from throughout a distinguished career that has seen her sell over 7 million albums worldwide. one of FIVE pairs of tickets to the Oxford show. To enter the draw to answer the question and just fill in your details above.